App has potential, but how do you launch without including the busiest airport in the country? Update: thanks for the quick fix guys! Will give this a try - autor:ATL deals - title:No ATL? Seriously? Cheap travel deals with no strings attached?? Yes please. 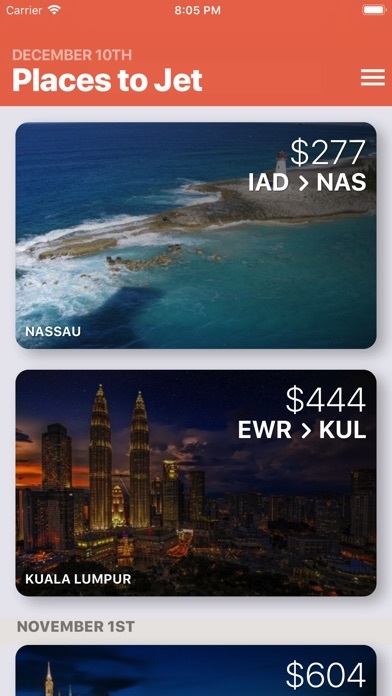 ✈️ I love getting amazing deals right to my phone! 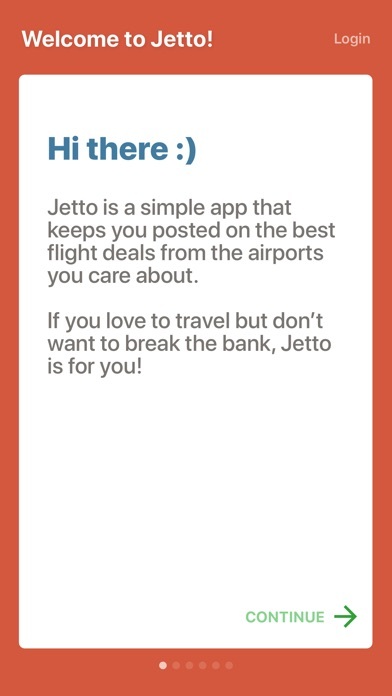 I don’t know what I did before Jetto! 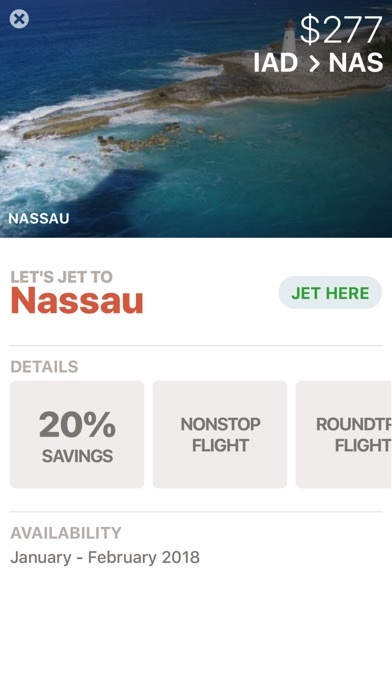 😍 Whether you’re booking flights all over the world, looking for domestic travel, or just want to daydream and possibly stumble on the perfect trip for your week of vacation, you’ll love this app! Well done!! 👏 - autor:SumSlev - title:Great for both casual and frequent travelers!